On April 19, 2018, the Ohio Supreme Court decided a very important case for self-insured employers who have subrogation rights under R.C. 4123.931. In Bur. of Work. Comp. v. Verlinger, 2018-Ohio-148, the claimant filed a workers’ compensation claim for injuries arising from an automobile accident. Initially, the Bureau denied the claim. After referral to the Commission, a district hearing officer disallowed the claim. However, while the claim was pending appeal, the claimant entered into a settlement with the insurance company of the tortfeasor, with whom the claimant had the auto accident. After settlement, a staff hearing officer allowed the claim and the Bureau began paying benefits to the claimant. Sometime thereafter, the Bureau learned about the settlement and filed a lawsuit under R.C. 4123.931(G), alleging the Bureau was entitled to the full amount of its subrogation interest because the claimant failed to give the Bureau the opportunity to assert its subrogation rights. The Bureau and the claimant filed motions for summary judgment. The claimant argued she was not a “claimant” under R.C. 4123.93 because she settled before the Bureau began paying on the claim. According to the 6th Appellate District’s holding in Ohio Bur. Of Work. Comp. v. Dernier, 2011-Ohio-150, one is not a “claimant” until the Bureau or self-insured employer begins such payments. The trial court ruled in favor of the claimant, finding the claimant was not a “claimant” under R.C. 4123.93 at the time she settled, and therefore, claimant was not obligated to give the Bureau notice under R.C. 4123.931(G). The Bureau’s appeal to the 9th Circuit was rejected and the court of appeals affirmed the trial court’s judgment. The Bureau appealed to the Supreme Court, which took the appeal pursuant to its discretionary jurisdiction. The Supreme Court reversed the 9th District, holding that the claimant was a “claimant” for purposes of R.C. 4123.93 at the time of her injury. According to R.C. 4123.93, a claimant is “a person who is eligible to receive compensation, medical benefits, or death benefits under this chapter.” The Court held that “eligible” means “qualified to be chosen.” The Court reasoned the claimant was qualified to be chosen at the time of her injury and remained qualified until her claim was finally disallowed. The claimant also argued even if it were assumed she was a statutory claimant, she had no obligation to notify the Bureau of her settlement because the Bureau had not begun paying her benefits at the time she settled with the insurance company. The Court rejected this argument (and Dernier), reasoning the claimant was confusing the Bureau’s subrogation rights with its right of recovery. The Court held the Bureau’s subrogation rights are automatic, and therefore, such rights vest when the claimant becomes eligible for workers’ compensation benefits. Nothing requires the statutory subrogee to begin making payments to have subrogation rights. R.C. 4123.931 requires the statutory claimant to provide notice of potential 3rd parties from which the statutory claimant may have a right of recovery and also to afford the statutory subrogee an opportunity to asserts its rights to subrogation. Because the claimant failed to give the Bureau the opportunity to assert such rights, the claimant violated the statute. 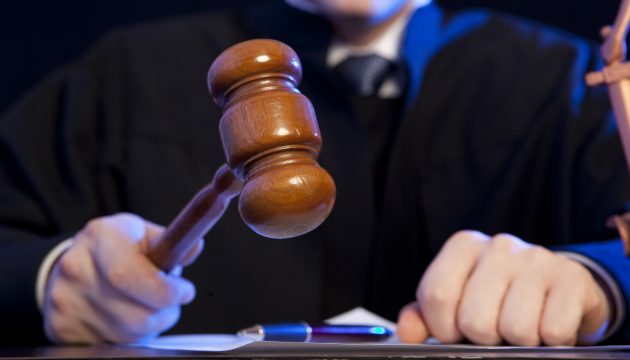 Accordingly, the claimant and the insurance company were jointly and severally liable to the Bureau for the full amount of its subrogation interest. Since 2011, workers’ compensation practitioners have relied on Dernier to avoid providing timely notice of settlements to self-insured employers. Self-insured employer now may seek full recovery of their subrogation interest, as opposed to recovery under the proportional formula in the statute, when the claimant settles a claim subject to subrogation without providing adequate notice.